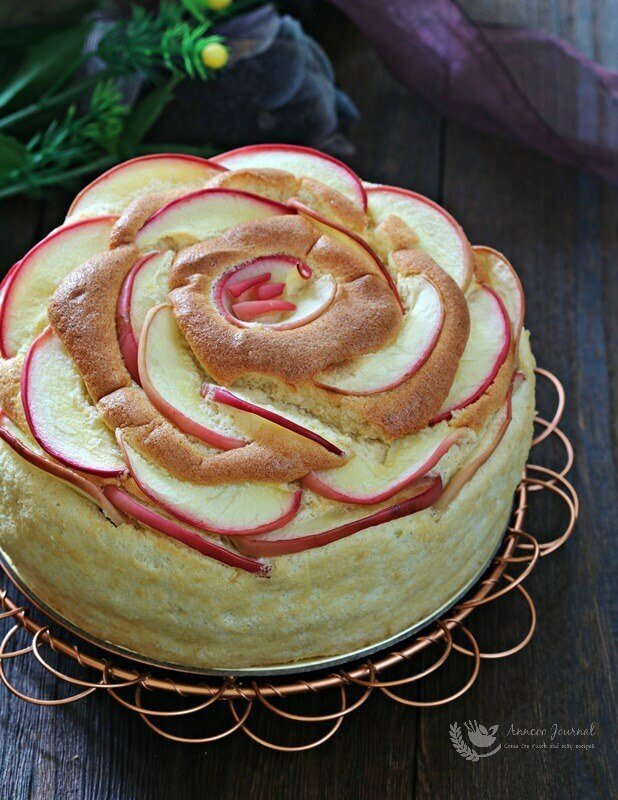 This pretty Apple Rose Chiffon Cake is getting popular in some of the FB baking groups lately. So, there is nothing to stop me from joining in the fun to make this light, moist and soft yummy cake. The cake is a bit sourish and the apple slices are crunchy. The cake is perfect to my liking and it’s great as a giveaway gift to friends but just a little hiccup is that the cake shrank a little after cooling down. 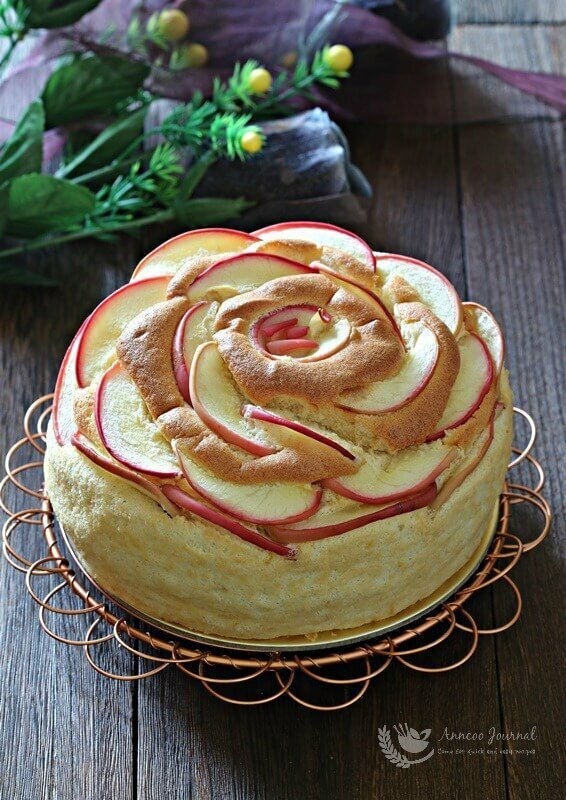 So I’ve made some adjustments in my recipe below and hope you have fun making this Apple Rose Chiffon Cake too! 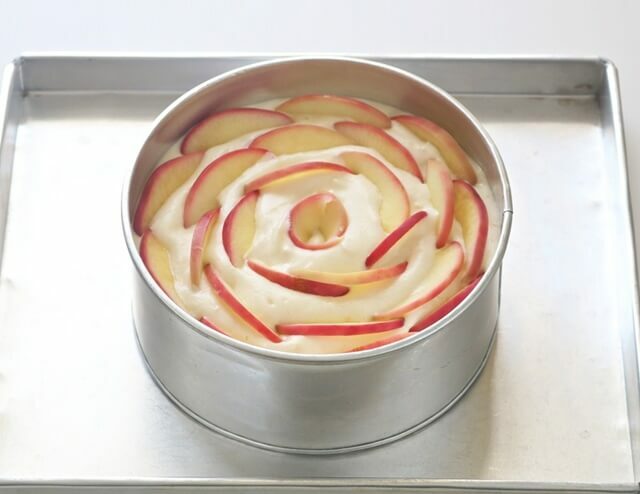 This pretty Apple Rose Chiffon Cake is light, moist and soft, a bit sourish and the apple slices are crunchy. Add the lemon juice to the water. 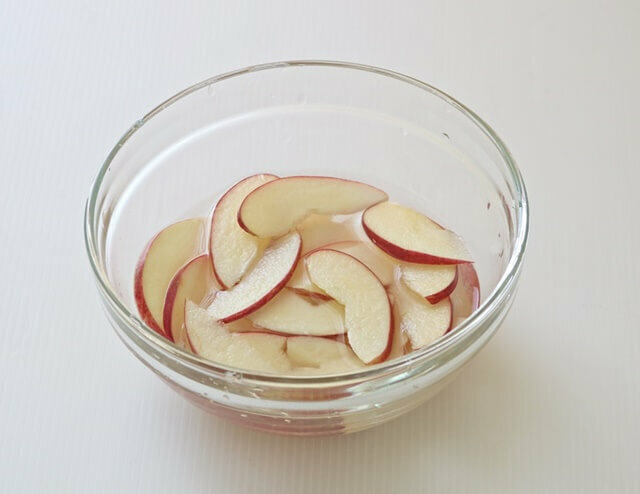 Cut the apples in half with skin on and core them, then cut into thin slices, about 2mm thickness. 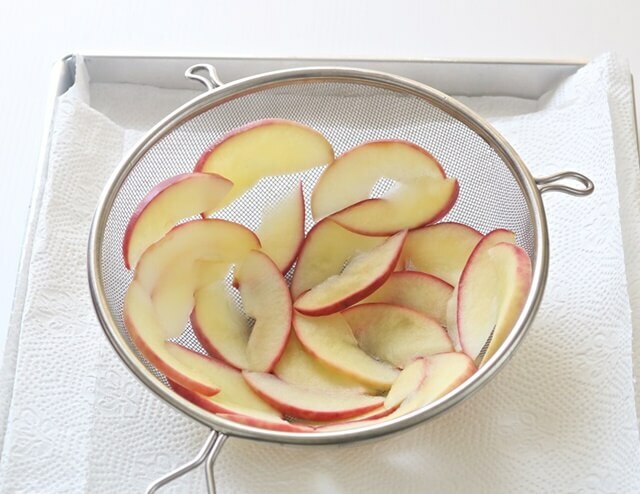 Drain the apple slices and dry them with kitchen towel. 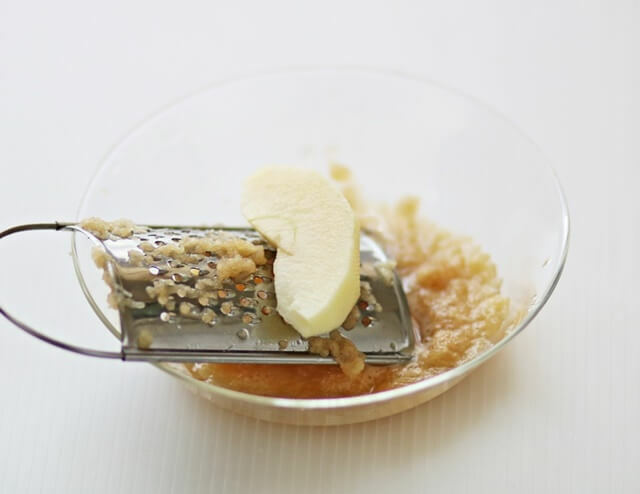 Grate apple and mix well with 1 tablespoon apple liquid. 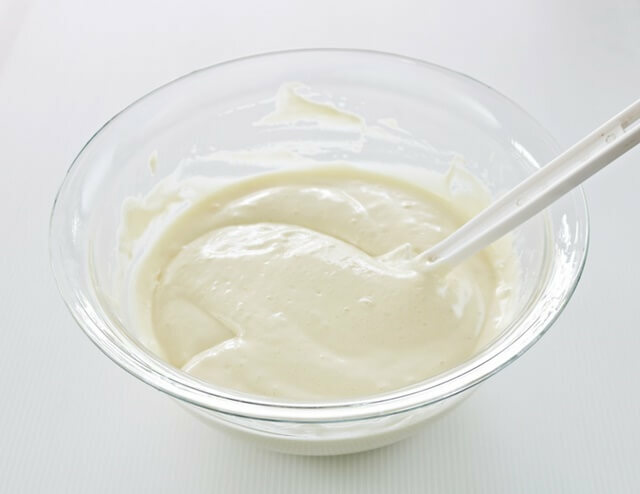 In a large bowl, stir well egg yolks, vanilla extract and sugar with a hand whisk. Add grated apple and oil, stir well again to combine. Sift in flour and mix well. 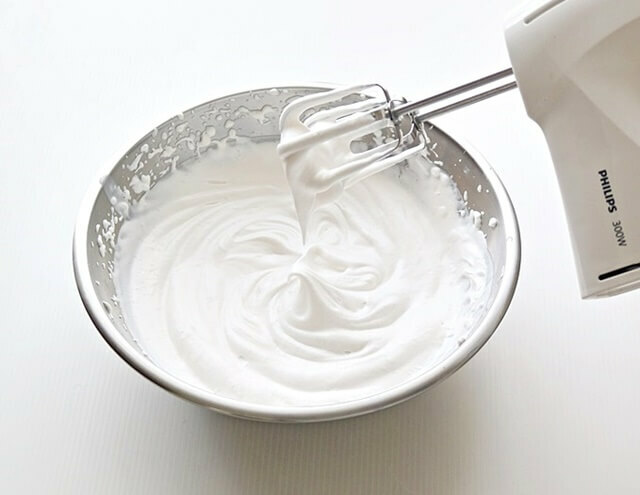 Whisk egg whites and lemon juice till frothy with an electric mixer at low speed, gradually add in the sugar in batches. Continue beating egg whites at medium speed till stiff peaks form. 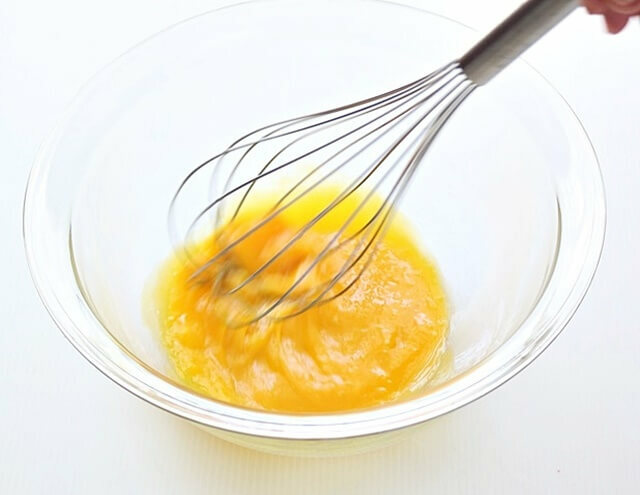 Add ⅓ of the egg whites into egg yolk mixture, fold well with a rubber spatula. Then gently fold in the rest of egg whites till combined. Bake in preheated oven at 180 deg C for 15 minutes. Then lower temperature to 160 deg C and bake for another 35-40 minutes. 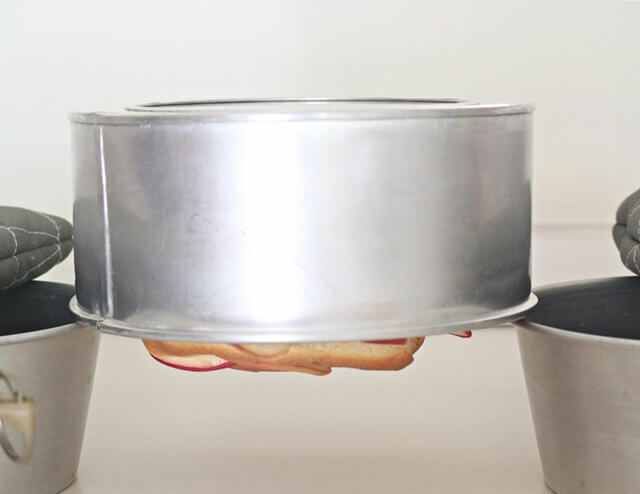 Invert the cake pan immediately to cool completely before removing the cake from pan. It's not easy to slice because the apple slices are crunchy and cake is soft. I used a pair of scissors to snip the apple slices then cut the cake with a knife. hi ann, if i use a 9inch pan, how long should i bake for? Hi Kelina, 9 inch tube pan is quite big, you may need to bake for about 60 mins. 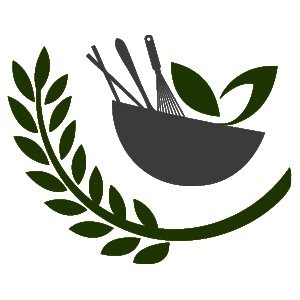 I have a non stick round pan….can use it to bake this? No, the chiffon will not stick to the non stick pan. Hi, Ann. Can i use the equivalent chiffon can pan with tube in the middle? I do have can pan with removal base but they are non stick. I con’t it right? Hi Ling, Yes you can a chiffon tube pan, just that the cake will have a hole in the center. Hi Ann, i do not have microwave at home, any recommendation for that step which needed it? 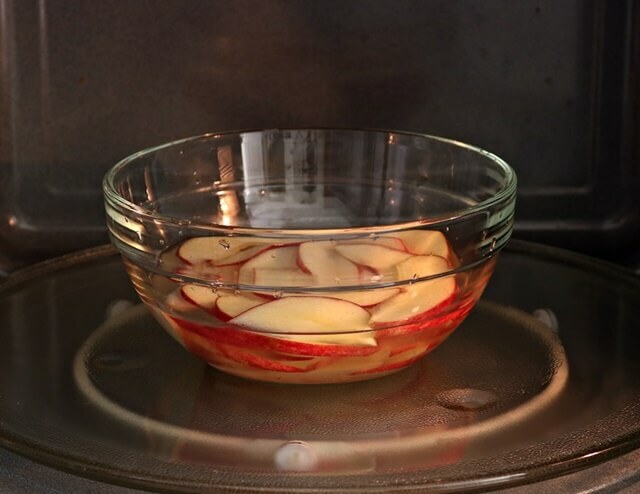 Hi Irene, you can boil the apple slices together with the lemon juice at low heat and drain – dry with kitchen towel. What a pretty looking chiffon cake! 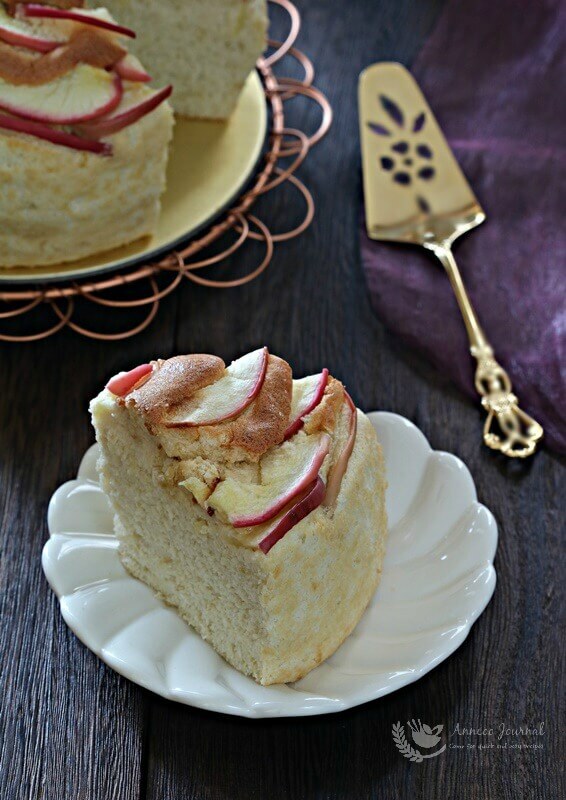 A must for apple and chiffon cake lovers. 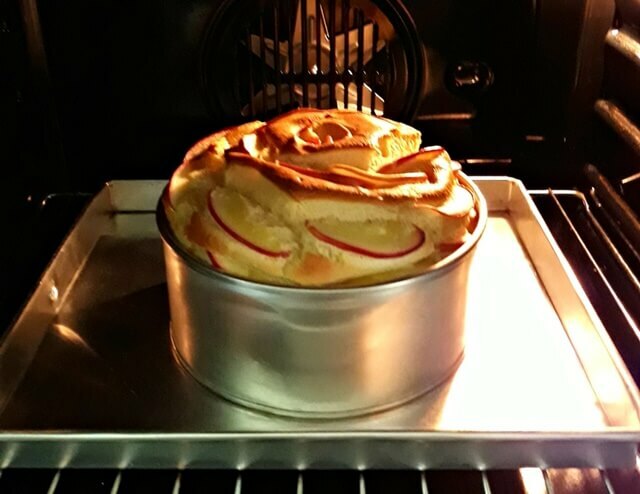 My partner will complain because he thinks that apples should not be baked. LOL! I don’t mind receiving this as a gift from you…. Yum! Pretty as always! Wish I could have a slice now with my tea 🙂 Have a wonderful day, Ann!